Getting to work under your own power and pace is liberating. There is no sitting in traffic jams, filling the tank or sedentary moment when you commute by bike. You will be energized when you get to work and relaxed on your way home. To add to the joy of commuting, you want the best commuter bike for you. A bike that suits your needs and makes your ride even better. There are a few things every commuter bike should have to keep you riding through all conditions. Beyond that you can choose what works best for you based on your style and route. Lights: A highly visible light setup will keep you safe. If you plan on riding at night or close to dark, a light that allows you to see your route as well as alerts cars and other around you of your presence is essential. Lights can be hardwired into the bike and powered by a dynamo hub or they can be battery powered and added to the bike. Fenders: You will be happy to have fenders to keep you dry. When it is actively precipitating you will get wet regardless of fenders, but they keep the dirty road spray off of you. On wet roads after the precipitation you will stay completely dry and it is a beautiful thing. Your fenders should be as close to the ground as possible at the trailing side of both wheels to ensure maximum protection. You can add flaps if your fenders do not already reach that low. Rack Mounts: If you are going any significant distance, you will want a rack or basket to put your bag. A backpack on a longer commute will get you sweaty. You will also be more comfortable with a free back. Your bike will not complain about a few extra pounds on its frame, but you might. The Trek Lync 5 is an integrated package designed to be as maintenance free as possible. Lights are integrated into the frame with a USB rechargeable battery. The drivetrain has an internally geared eight speed Shimano Alfine hub and belt drive in place of a chain. This will keep wear and tear from road grim down to a minimum. Disc brakes keep stopping power regardless of conditions. 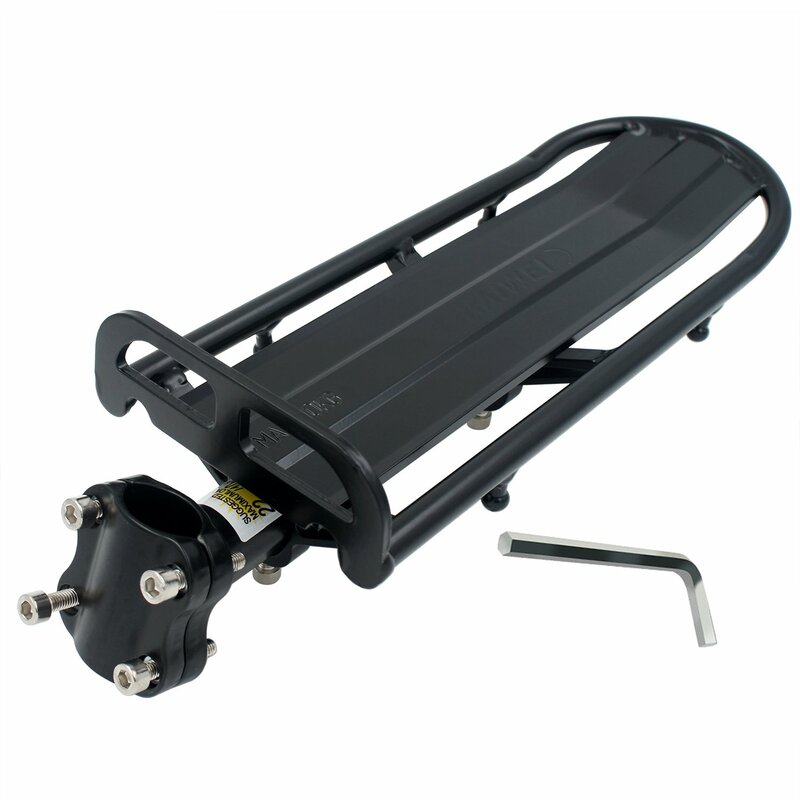 Fenders (do not forget to add mud flaps) and a rack are included, keeping you from shopping for any necessities. The rack does not have a top shelf, so a trunk bag will not work. You will have to hang a pannier off the side, but it is quite a minor point on this all inclusive package. It is a great choice for someone that will be commuting in all conditions, short distances as well as a little bit further with some hills. If you are short on space either at home or in your office and your commute is relatively short, a Brompton folding bike could be the bike for you. You can fold it if part of your commute involves a train or car too. They fold up quite small but also pride themselves on their ride quality. You can spec them with all of the features you need. They are great for urban mobility, with a tight wheelbase to maneuver nimbly and small wheels to accelerate quickly. There are other folding bikes out there, but Brompton is the benchmark. With this bike you will want your commute to be on the flatter side and not excessively long. The Jamis Renegade Exploit may not be the best commuter bike for the short trip across town but for longer rides with conditions that might not be ideal, and you should always be prepared for surprises from weather or terrain. this bike is top notch. While the bike does not come with racks or fenders, it does come with mounts for both should you need them (you do). Drop bars give you more hand positions for that longer commute, along with fatter than standard road tires – 36 millimeters. Hydraulic disc brakes in an integrated brake shift lever (a relatively recent innovation) give you premium stopping power. Jamis is known for a nicer spec than most relative to price; you will get a very nice all around bike that can tackle almost anything. Efficiency is what the Specialized Langster is all about. When bike couriers were common, a fixed gear bike is often what they rode for simplicity of maintenance and efficiency. There is little to wear out and little to cause drag in the drivetrain. If you are jetting to work in a city or relatively flat place, this is a fun way to go. Fenders will take some work to add, but that extra effort will be worth it. A rack will be a stretch too, but a messenger bag will complete the look anyway. For a quality complete bike, it is a bargain. Just make sure you put the brakes on; you will definitely not look cool after you need serious dental work. Maybe your needs are really specific and what you carry needs special attention. Perhaps you are very exacting and have plenty of money to spend. A custom commuter bike can be your solution to having the best commuter bike for you. You will be able to spec your bike down to the last detail – tire clearance, gearing, geometry, rack and fender mounts – really, every detail. The bike can be weather proofed too, ensuring it with durable and resistant parts, from the frame all the way to the tires. You probably already have a bike. It is likely that you can get most of the performance of a dedicated commuter bike out of your current bike by making it the best commuter bike. Maybe the bike does not need anything, just for you to start riding to work. It is likely you will be able to add some commuter features to your bike to add some comfort and performance such as fenders, more upright bars, or some fatter, more comfortable tires. The best commuter bike is the one that works best for your needs. Bike commuting is becoming a regular way to get to work, broadening the market. Whatever bike you choose, get out there and ride to work. You will be happy that you did.